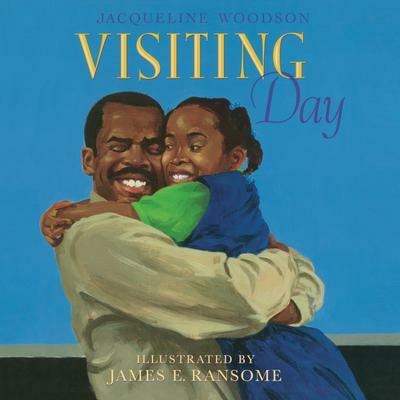 In this moving picture book from multi-award winning author Jacqueline Woodson, a young girl and her grandmother prepare for a very special day--the one day a month they get to visit the girl's father in prison. "Only on visiting day is there chicken frying in the kitchen at 6 a.m, and Grandma in her Sunday dress, humming soft and low." As the little girl and her grandmother get ready, her father, who adores her, is getting ready, too, and readers get to join the community of families who make the trip together, as well as the triumphant reunion between father and child, all told in Woodson's trademark lyrical style, and beautifully illusrtrated by James Ransome.